A huge thank you to Jane's Doodles for being a wonderful sponsor this month! 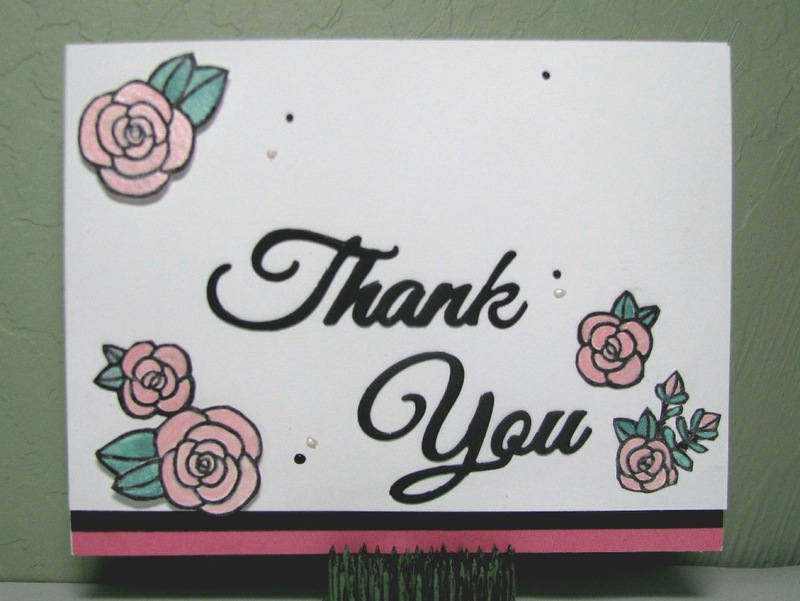 Thanks for playing along with our May flower challenge! 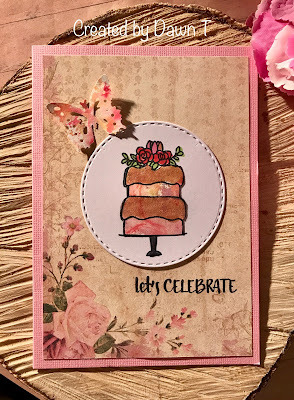 I've used a free cake die that I picked up for $1 at my local magazine shop. 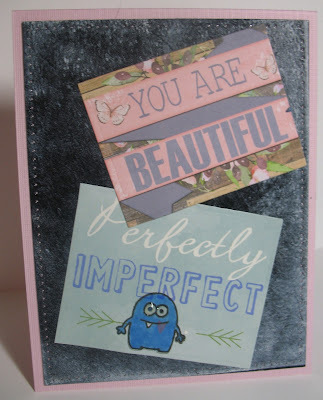 I cut it from some dusky pink and a silvery grey card. I added a bit of watercolour behind the cake. I've had fun this month with the lovely stamp set that I got from Jane's Doodles. Still a few days for you to join our challenge. Sometimes you just have to be silly and funny. That's just what this set is for. Anyone who needs a hug or a lift in spirits needs a card like this. 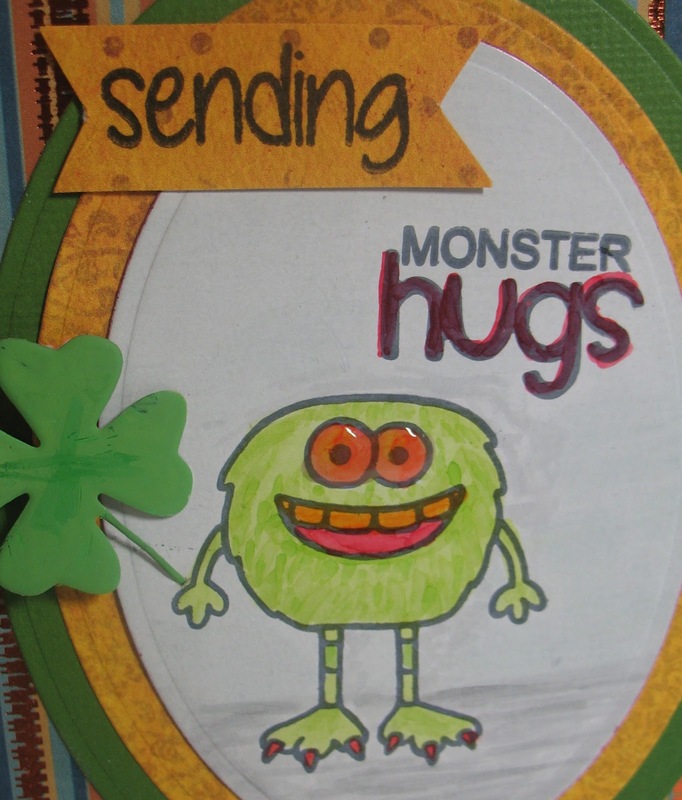 Close-up of a little green monster with his shamrock. Cathie here with another project highlighting one of Jane Doodles lovely digital stamps available. With a theme of May flowers, this stamp really appealed to me, I also wanted to keep it nice and bright so that is the colour scheme I have chosen. Monika here to share another "use flowers" (trees, bushes and grass count too) project. I made a card for an archaeologist. 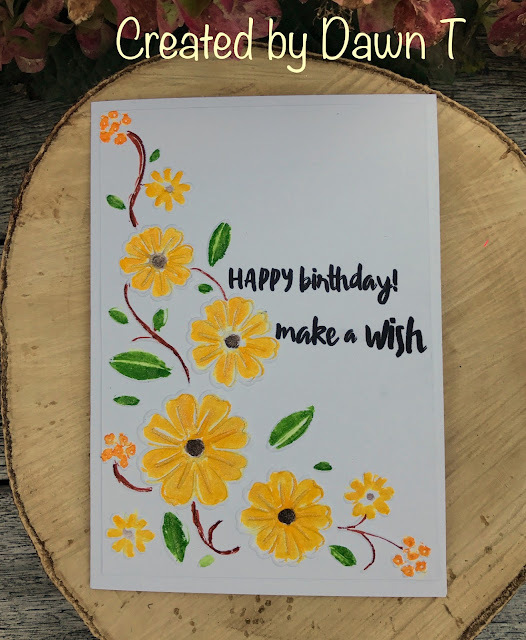 Come and join in to fun and make some "use flowers" projects!! This months theme is May Flowers or trees, bushes and grass will count too! Our wonderful sponsor is Jane's Doodles and the prize is a $30 gift certificate to her store. The roses are from the Mom set by Jane's Doodles , colored with Copics. 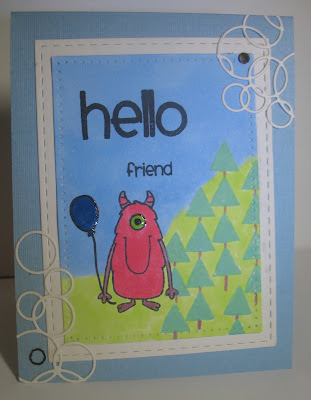 The dies are from Frantic Stamper and Spellbinders. 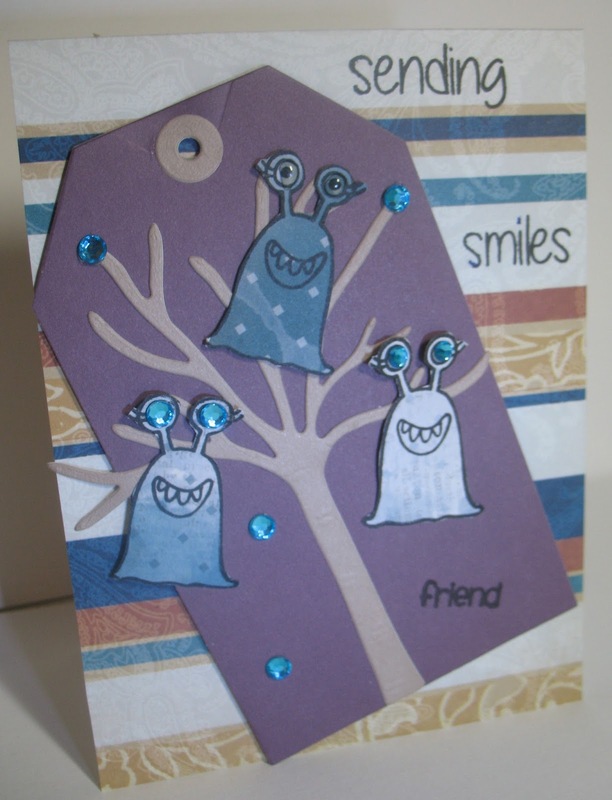 If you want more info on the materials used on this card, come visit me here. Make sure you enter for a chance to win that $30 gift certificate! 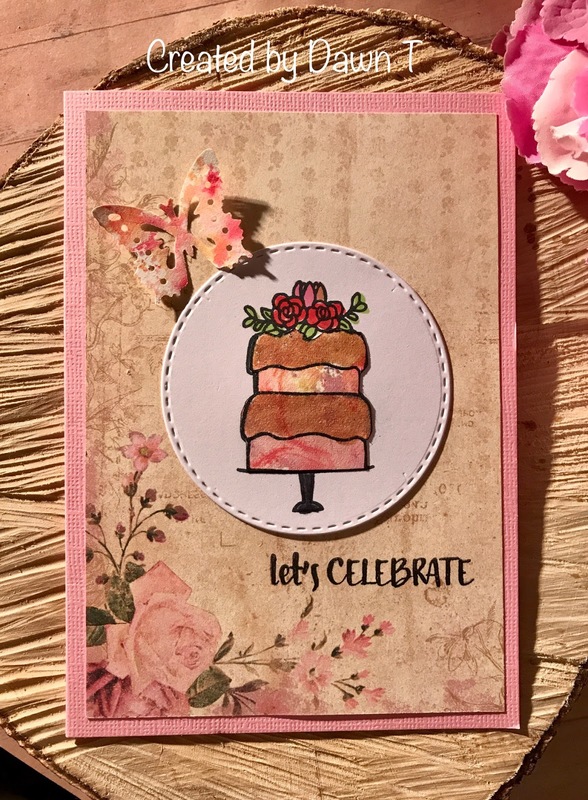 Hello, Cathie here with a inspiration project highlighting a digital stamp from Jane's Doodles for the May theme of May Flowers (trees, grass, and plants all count too). Using Jane's Doodles Tulip and word I have aligned several copies of the stamp side by side. 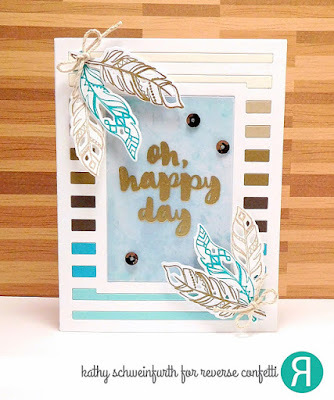 Cindy here to share another card using Jane's Doodle clear stamp - Spring set. May challenge theme is: May Flower (tree, grass, plants all counts too). 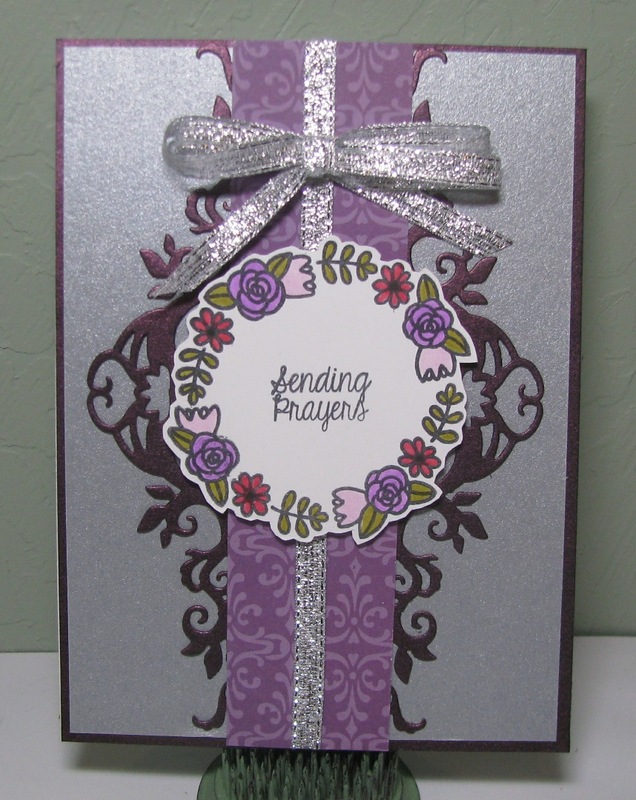 For this card I used a floral panel and pass it through my die cut machine inside a die cut/embossing folder. Since the floral panel is quite bright the embossing is not showing up well, to solve this issue I gently pressed a white pigment ink pad on the raised area to whiten the embossing. Jane's Doodle is our May sponsor. Come join in the challenge, you could win a $30 gift certificate to the store. Looking forward to see your creations in our challenge gallery! 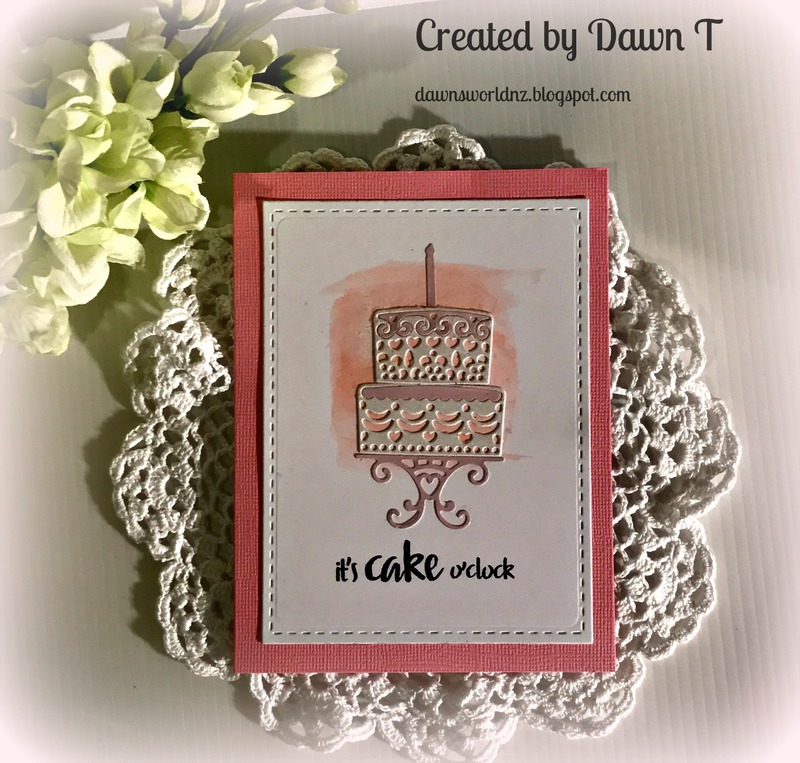 I am sharing a birthday card made using this lovely stamp set call Cake by Jane's Doodle who is our sponsor for May. Our May challenge theme is: May Flowers (trees, grass, and plants all count too). I have used a flowery embossing folder to make my flowers and then used two of the sentiments from the Cake set. 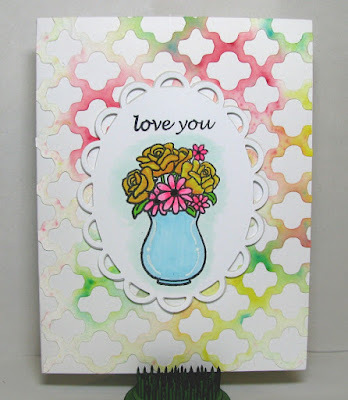 I coloured the embossed flowers with Zig Markers which I blended with Wink of Stella. I can tell you for real, it sparkles! We would love to have you join us with your May Flowers (or trees, grass. plants) Just link up using the link to our challenge on the side post. I am sharing a birthday card made using this lovely stamp set call Spring by Jane's Doodle who is our sponsor for May. 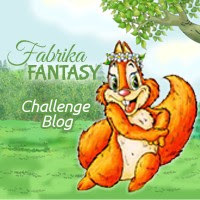 I hope you'd join in the fun and play our May Challenge. Chick This Month's Challenge button on the right sidebar or Here to get all the details. To check how I created my card, hop over to my blog post Escape To Stamping. 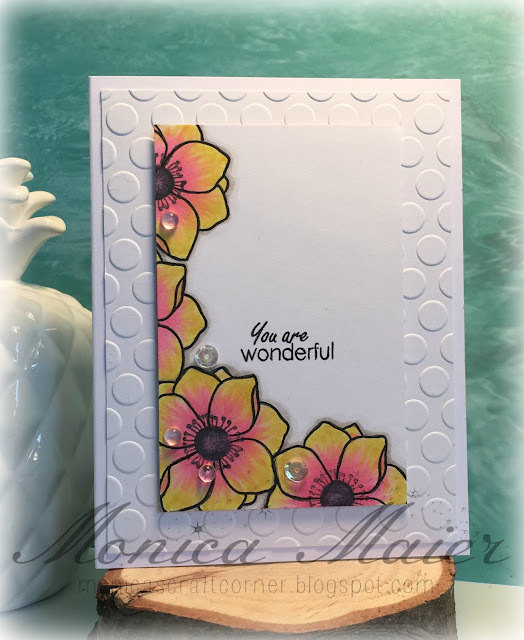 Monica here today to share my first card for our challenge. This months theme is May Flowers (trees, bushes and grass will count too)! Our wonderful sponsor is Jane's Doodles and the prize is a $30 gift certificate to her store. 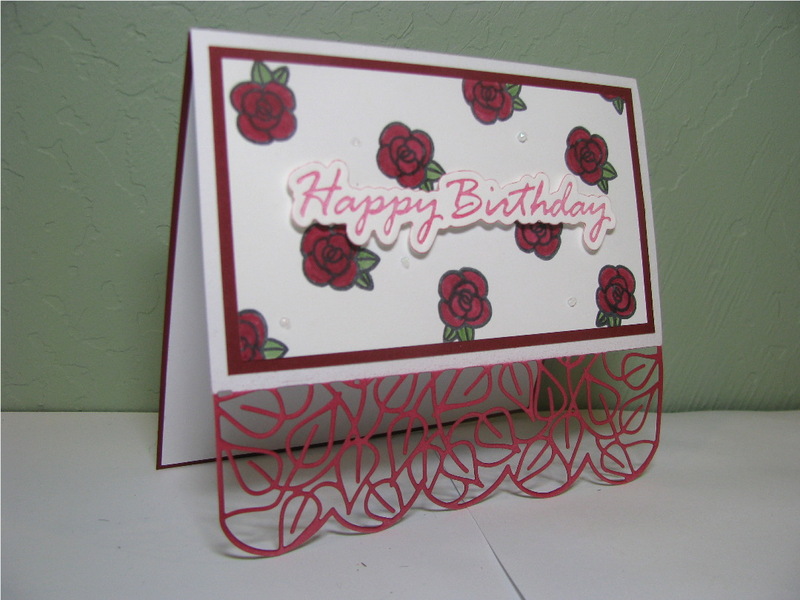 To see all the details on the card visit my blog here. Monica and the Die Cut Diva's! Die Cut Divas has a wonderful sponsor in Jane's Doodles. The challenge features either flowers, bushes, trees, grass, things like that. I think my tree qualifies, even though all it's growing are ghosts. Kind of a simple fun card to make. These cute little monsters are blue diamonds in the ruff, so to speak. I used blue gems for two of the monster's eyes and some as general embellies. I thought the sentiment was perfect. 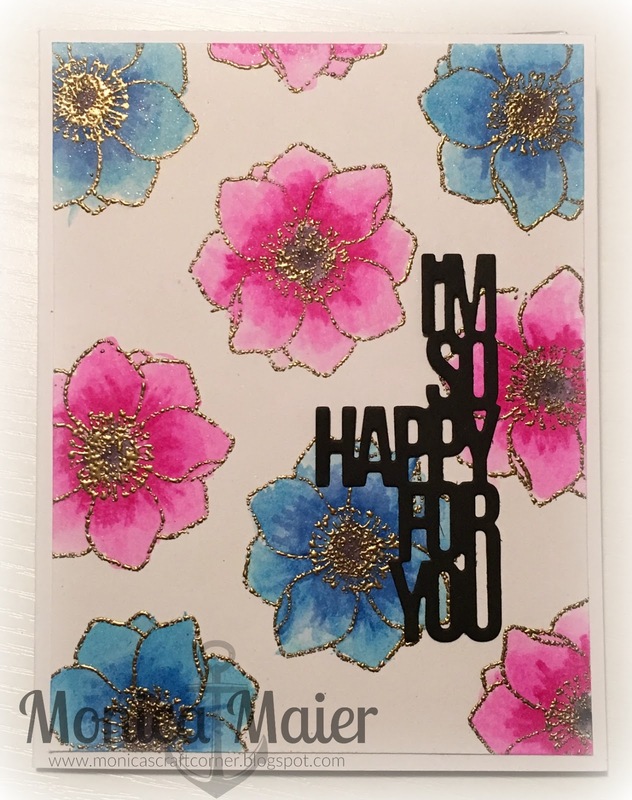 I've cut the clear stamp sentiment into "sending" and "Smiles" so I could use "sending" with another sentiment from the same stamp set. I hope you like it. I have a friend who is not feeling well and will be sending this off to bring some smiles back. This is very CAS for me. 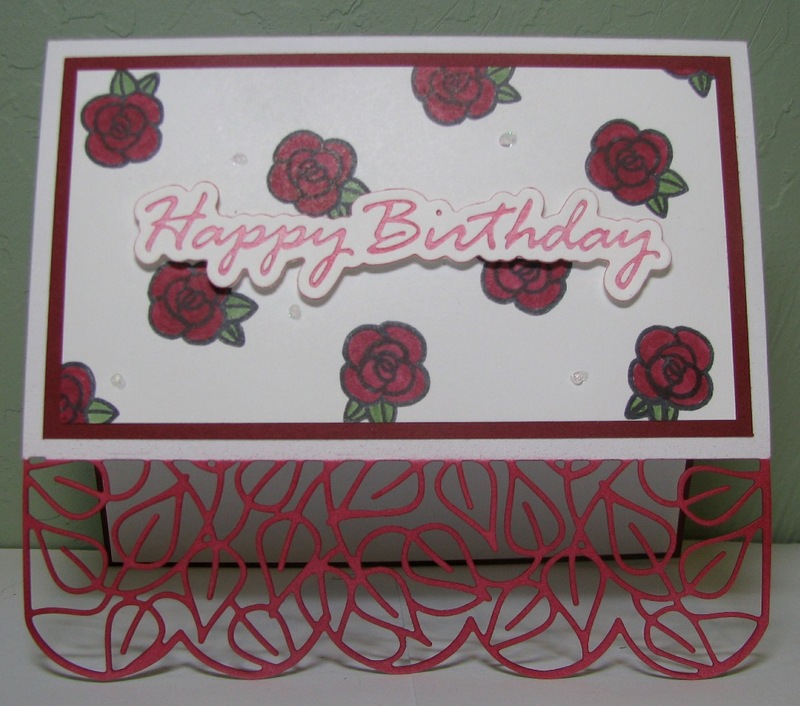 The roses are from the Mom set by Jane's Doodles , and I really love them. The "Thank You" is a die from My Craft Spot (love this script), which is unfortunately out of business. I tried for simple and elegant, so I hope it comes through that way! 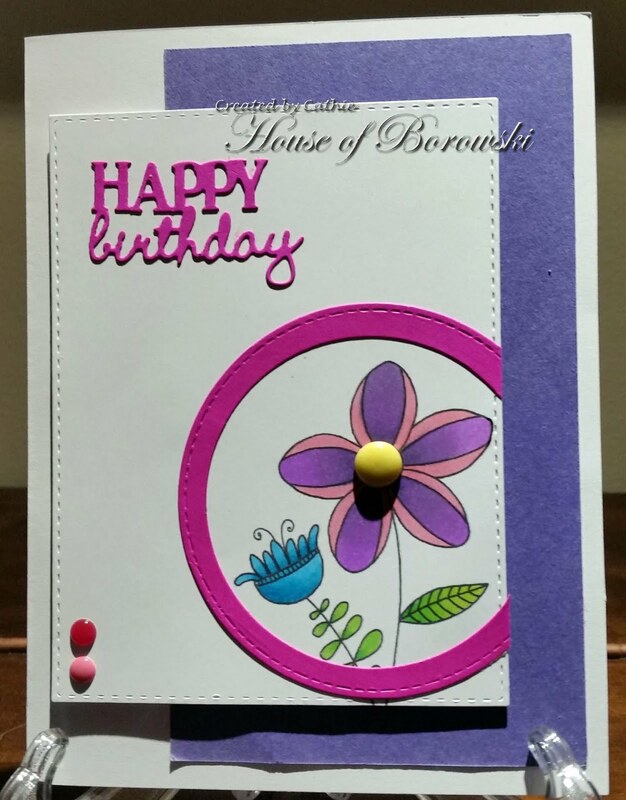 If you want more info on the materials used on this card, come visit me here. Hi everyone, we were having a spot of bother trying to pick a winner but we have sorted it out. Please send through an email to the dcdivas@gmail.com so I can send your details onto Fabrika Fantasy to collect your prize. 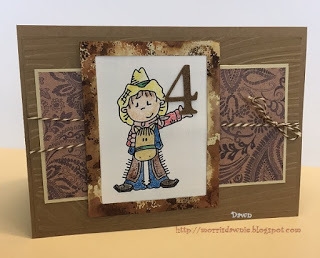 Monika loves this sweet card for a small cowboy from Dawn. Arlene's Favorite for April is stempelomi with this wonderful card with the sentiment tucked into the image so beautifully done. Don't forget to grab your badge from the buttons page. 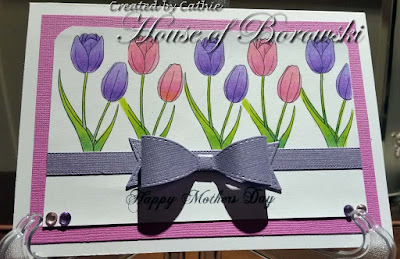 Of course there is plenty of time to join our current May challenge with a theme of May Flowers, but don't wait to long - the link is on the side bar. It's May so that means its time for a new challenge! This months them is May Flowers or trees, bushes and grass will count too! Our wonderful sponsor is Jane's Doodles and the prize is a $30 gift certificate to her store. 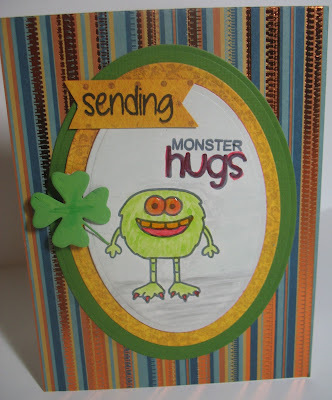 Arlene went monster wild with Monster Squad from Jane's Doodles. She made arrows into trees at A Bit of This and That. We can't wait to see what you have to share with us this month!